Joseph Slife has been a news writer for the Associated Press, a college instructor, and a radio host. From 1990 to 2003, he was a writer/researcher for Larry Burkett at Christian Financial Concepts and Crown Financial Ministries, and he served as the executive producer for CFC/Crown Radio from 2000-2005. He first joined SMI's writing team in 2008, before going on to serve nearly six years as senior producer/co-host for WORLD Radio. He returned to Sound Mind Investing in 2017. Joseph and his wife Joye have three grown sons. "The Congress shall have power to lay and collect taxes on incomes, from whatever source derived, without apportionment among the several States, and without regard to any census or enumeration." – The Sixteenth Amendment to the U.S. Constitution, passed by Congress in 1909, ratified in 1913. Happy Tax Day! Let's pretend it's 1909, and we're in the visitor's gallery of the U.S. Senate. We're listening in on the debate surrounding a proposal to approve and implement a federal income tax. We've just updated SMI's Personal Portfolio Tracker and our monthly Fund Performance Rankings report with mutual-fund performance data through March 31, 2019. The Portfolio Tracker: The online Tracker personalizes SMI's fund rankings to your specific situation, making it easier to apply our momentum-based Fund Upgrading strategy to your 401(k), 403(b), or other retirement plan. The Tracker filters the performance data of 20,000+ funds to produce a concise report covering only the funds available in your plan(s). If you're new to the Tracker, watch this introductory video that explains how to set up the Tracker with the funds available via your workplace plan. 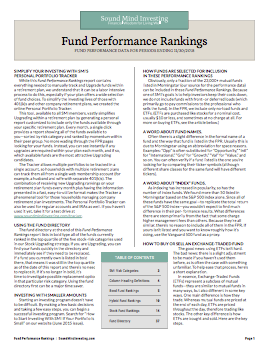 Fund Performance Rankings (FPR): The FPR report is a PDF file containing month-end performance data — along with SMI's momentum rankings — for more than 1,600 no-load traditional funds and ETFs. The funds included in the FPR are selected on the basis of asset size, brand familiarity, and brokerage availability. Check page 2 to learn how to use the FPR report. Page 3 includes an overview of the 70+ risk categories that will help you compare "apples to apples." Page 4 has explanations of the various data-column headings. Sen. Ron Wyden proposes annual capital gains tax (Fiscal Times). Investors would pay a levy each year based on the valuation of their holdings in non-retirement accounts — and the tax rate would be 37%! Many rich fretting about SALT didn't get that tax break anyway (Bloomberg). You've probably read that the new tax law slams taxpayers in states that have high State and Local Taxes (SALT). This article offers a take I haven't seen before. Getting rid of debt may actually make your brain work better (MarketWatch). Researchers in Singapore say getting out of debt takes a weight off the mind, and that in turn lessens anxiety and improves cognitive function. Who knew? Super savers survey: Examining financial behaviors of those with a 20%+ savings rate (PDF) (TD Ameritrade). This survey suggests that one key to becoming a "super saver" is to keep your housing costs low. Playing with 'FIRE' (WORLD). Christian-based newsmagazine WORLD looks at the early-retirement movement. How is the market doing? (Michael Batnick, The Irrelevant Investor). Day-in, day-out updates on market performance don't amount to much. The forecasting business shouldn't be this bad (Barry Ritholtz, Bloomberg Opinion). Wall Street and economic forecasters aren't very accurate. They should at least be more humble. Fees vs. fines (Morgan Housel, Collaborative Fund). Having to endure market volatility is part of the "price of admission" for an investor. The lifespan of life insurance (Johnny Fowler with Mark Mason, Vagabond Finances). In the later seasons of life, your need for life insurance probably isn't as great as it once was. Raise your children to be generous (Joe Plemon, SeedTime). When you train your children to be givers, you are molding their hearts. Have a comment about any of these articles? "Join the Discussion" below. The article is an interview with one of America's wealthiest women: Abigail Disney, an heiress to the Disney family fortune. I don't know anything about her spiritual outlook (she describes herself as "a kind of a lefty, New York City, Manhattan, pointy-headed intellectual type"), but she speaks insightfully about how having an abundance of money tends to turn wealthy people inward. When I went off to college, Michael Eisner came in and reinvigorated the [Walt Dinsey] company, and then the stock price, which was basically my family’s entire net worth, was ten times, 20 times, 50 times what it had been when I was growing up. So all of the sudden, we went from being comfortable, upper-middle-class people to suddenly my dad [Disney executive Roy E. Disney] had a private jet. That’s when I feel that my dad really lost his way in life. And that’s why I feel hyperconscious about what wealth does to people. I lived in one family as a child, and then I didn’t even recognize the family as I got older. It wasn’t just the plane, but it’s not a small thing when you don’t have to be patient or be around other people. It creates this notion that you’re a little bit better than they are. And for the past 40 years, everything in American culture has been reinforcing that belief. We say, “Job creators, entrepreneurs, these are the people who make America great.” So there are people walking around with substantial wealth who think that they have it because they’re better. The full interview is posted here (language warning). Most of us won't ever have a private jet or come close to having the kind of financial wealth Abigail Disney has. Yet by historical standards, and even compared to millions of people in the world today, you and I are wealthy indeed. Can you recall a particular time in your life when you had to struggle to keep wealth from turning you inward, away from God and from others? Tell us about it, in general terms, in the comments section below. Here's our weekly collection of helpful reads on investing and personal finance — served up a day early this week to make way for our DAA and Sector Rotation updates tomorrow. Turned 70½ last year? Don’t miss this key April 1 deadline (CNBC). If you have a retirement account that falls under the Required Minimum Distribution rule, you have only until April 1 to take your first distribution — or you'll face a 50% penalty. You may still be able to get a $3,450 deduction on 2018 taxes with a Health Savings Account (MarketWatch). Just as with IRAs, you can make a contribution to an HSA up through April 15 and apply it to the previous tax year. IRS giving millions a pass on penalties for 2018 underpayment (CNBC). In an attempt to smooth out implementation of the new tax law, the IRS has further lowered the no-penalty threshold for underpayment. Half of older Americans have nothing in retirement savings (Bloomberg via Yahoo). 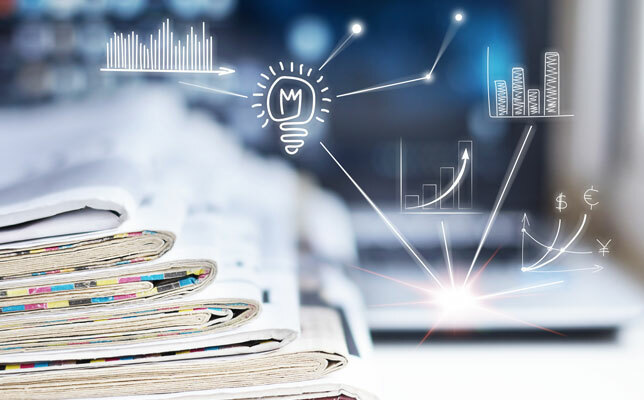 The good news is the situation has improved slightly from a few years ago, according to updated data from the U.S. Government Accountability Office. The perfect track record (Michael Batnick, The Irrelevant Investor). Yes, the inversion of the yield curve has always been a reliable recession precursor — but don't overreact. Inflation: The silent killer of retirement (Fritz Gilbert, The Retirement Manifesto). At 3% annual inflation, a $50,000 lifestyle today will cost $90,000 20 years from now. 401k early withdrawal: What to know before you cash out (Mintlife blog). We touch on this subject briefly in our current newsletter article, Roth IRAs and Roth 401(k)s: Similar, Yet Different. This piece covers the seven(!) "exceptions to the rule" regarding the penalty for early 401(k) withdrawals. The more money you make, the more you can delude yourself (Peter Dunn, Indianapolis Business Journal). "Pete the Planner" says there are really only two successful retirement strategies: 1) Have a bunch of money, or 2) Not need a bunch of money. The mileage game: Getting started with credit card bonuses (Rocco Pallante, Vagabond Finances). A helpful companion piece to our April newsletter article, Credit Card Perks Can Be Attractive, But Users Beware. Comments? "Join the Discussion" below! 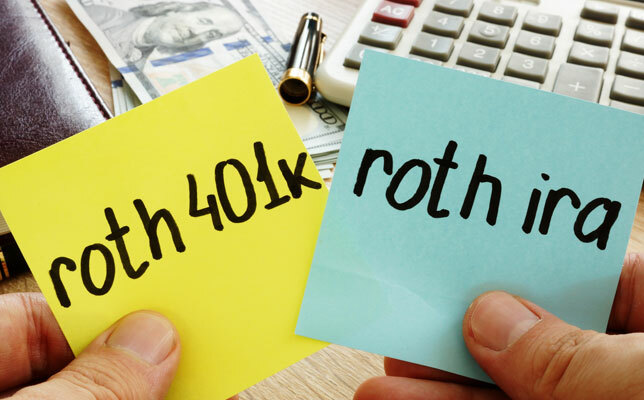 You may think a Roth IRA and a Roth 401(k) are essentially the same, the main difference being that one is a personally managed retirement account while the other is a workplace retirement plan. But there is more to the story. There are key — and somewhat confusing — differences in how Congress has structured the two types of similarly named accounts. To put it in genetic terms, while the Roth IRA and Roth 401(k) share certain traits as “close cousins,” the Roth 401(k) shares other important traits with its “older brother,” the traditional 401(k). Perhaps the muddled “some-of-this-some-of-that” nature of Roth 401(k)s is one reason for their slow adoption since coming on the market in 2006. Although 60%-70% of employers with retirement plans now offer a Roth 401(k) option, fewer than 20% of workers with access to Roth 401(k) accounts have signed up for them, according to data from the Plan Sponsors Council of America. Here’s a quick overview of how Roth IRAs and Roth 401(k) are similar and how they differ. (Provisions of the Roth 403(b) — for employees of non-profit organizations — mirror those of the Roth 401(k)). In 1949, Frank McNamara had an idea — a big idea. He knew certain department stores and oil companies allowed their customers to charge purchases using a “charga-plate” or “courtesy card.” What if there were a charge card for restaurants? And not just for a single restaurant or chain but a card that would be accepted at eating establishments just about anywhere? McNamara’s idea became Diners Club. Within a year, the Diners Club card was accepted at more than 300 U.S. restaurants and the club had 42,000 members, each of whom paid $3 a year for the card plus a 7% fee for each charge. The success of Diners Club led to a burgeoning credit card industry, populated by cards with names such as American Express, BankAmericard (now VISA), and MasterCharge (now MasterCard) — and these cards were accepted not only at restaurants but virtually everywhere. The Discover card was a latecomer, making its appearance in 1986. However, Discover quickly disrupted the credit card marketplace by offering higher credit limits, no annual fee, and (introduced somewhat later) a “cash back” bonus program. Since then, “rewards” programs have proliferated across the industry, leading to today’s wide range of enticing card offers, from cash-back programs to rewards points, and from extended-warranty coverage to travel miles. We're putting the finishing touches on the April issue of the Sound Mind Investing newsletter!